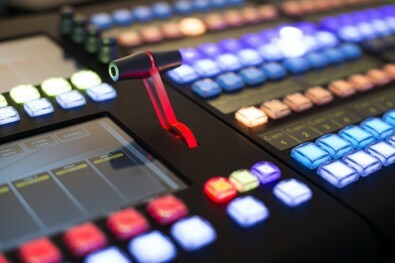 An EVS Dyvi switcher was used for Season 1 of ABC’s “American Idol” to manage the millions of LED pixels used on set live. David Bernstein, CEO/executive producer of Sun Screens Productions (Los Angeles, Calif.) is a veteran freelance TD who has worked on “American Idol” (first Fox and now ABC), “Dancing With The Stars” (Fox), as well as the halftime shows of Super Bowl XL – XLII (various sports networks), and “X-Factor” (Fox), to name a few. On virtually all of these shows, his job was to man a second, fully loaded production switcher during the live telecasts and add IMAG (image screens) to the wide variety of pre-determined set designs in real time in sync with the main TD switching the live program feed. As a freelance TD, Bernstein has used literally every switcher manufacturers’ switchers, from Grass Valley, Ross Video, Sony and now EVS. He said he has become an “evangelist” (his word) for the Dyvi switcher from EVS because it allows him to set up and launch effects in a whole new way. He has invested significant capital launching a new company, Sun Screens Productions, based purely on DYVI switchers, to revolutionize Screens' IMAG support from the video side. “The scalability of the Dyvi is one of its advantages over legacy switchers,” he said. The basic building block of the EVS switcher is the Processing Module (PM), a 2RU COTS IT server with a powerful GPU and proprietary I/O cards developed by EVS engineers to have the lowest video throughput delay of any “capture card” in the industry. 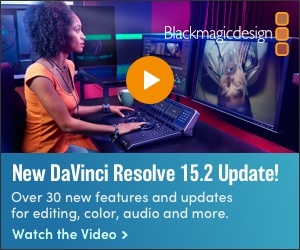 Each PM provides 32 inputs, 16 outputs, 8 channels of RAM recorder and approximately 16 to 20 layers of rendering. If more inputs, outputs, RAM recorders and/or layers are needed, additional PMs can be networked into the switcher through a 40Gbps “backbone” network. Dyvi operators can redesign the internal structure of the switcher to suit their individual needs on the fly because it’s all virtual—rendered in the GPU with metadata created by the panel and GUI. Bernstein and Sun Screens is about to start production on the live shows of Season 2 of Fremantle’s “American Idol” live shows on ABC (Sundays 8/7 Central) and intends to use his complete inventory of five Dyvi PMs networked together as one large switcher. He said he can take any input signal (HD/3G/SDI) and the Dyvi will turn it into data in the desired format with no additional time penalty. On the output, if he runs the switcher in 3G mode, and scaling has already been built into his preferred scene, there’s no additional latency required after the switcher in the signal chain. The Dyvi is not a discreet hardware-based switcher and, according to Bernstein, that’s what makes it special. It doesn't use [Field Programmable Gate Arrays] FPGAs and ASICS to create pathways for rendering or processing video the way other switchers do. In legacy production switchers video comes in, goes through a cross point matrix, gets selected on a buss, gets fed out the end of the buss, into a mix effects circuit, and this block might have some more busses coming into it that feed keyers and DPM circuits. But all this circuitry is dedicated hardware on an FPGA that’s built into a card that plugs into a frame and is ultimately controlled by the panel. “And, as an operator, you are now locked into decisions made by the design engineers when the switcher was built, which can limit your creative desires. With DYVI you can redesign the internal structure of the switcher to suit your needs on the fly because it’s all virtual—rendered in the GPU with metadata created by the panel and GUI.” said Bernstein. The basic building block of the EVS switcher is the Processing Module, a 2RU COTS IT server with a built-in GPU and proprietary I/O cards. Bernstein said that on a “legacy switcher” there is a limit to the number of layers you can stack up or you risk introducing signal delay and lip-sync error problems. This is critical to overcome in his line of work, as latency adversely affects the images displayed on the set screens. Bernstein said six PMs can be interconnected at any one time using by a 40Gbps backplane with the two high-speed LAN QSFP+ ports on each PM. Less than three PMs can be networked together directly, but when using more than three PMs, you must use a 40 Gbps switch. Arista Networks provides switches that are tested and approved on Dyvi. EVS chose Arista for the Dyvi because of its on-going partnerships with broadcasters. For the first season of “American Idol,” Bernstein configured his switcher to pass a 32:9 1080p (3840x1080) signals to the screens technician for the upstage wall of the set. The screens tech passed those two feeds through eight image processors in order to magnify the Dyvi’s output signals to fit the actual (5632 x 1536) pixel-count of the wall. The stage and set include millions of LED pixels that are used to change the look and feel of the studio for a performance quickly. In addition to the upstage wall, the floor, the band boxes and the walkway to the judges table are all made up of LED tiles and all of these are routed through the Dyvi. These lighting and graphics effects are all pre-built before going on air. For this Bernstein said he used three third-generation PMs and an extended control panel to manage a large part of the LED tiles which make up the set. He fed the Dyvi with a mix of 3G and 720p signals and output 3G signals. This means the set can be changed from an opera house to a country farm to an urban setting to match the performer’s musical style. And it has to change quickly in between each 90-second talent performance. Unlike other switchers, all of the switching and layering effects are virtualized on the Dyvi, allowing the operator to create virtual mix/effects banks. This time can vary throughout the show depending on how “heavy” or “light” the rundown is at any point. The Dyvi is capable of using “conditional macros” and a crude but serviceable internal text generator, to create a countdown clock controlled by an X-Keys panel in front of the Associate Director (AD). The AD can set a timer that must be the same for all three judges, and then trigger each judge individually when it’s their time to speak. Triggering any specific judge’s timer flips the program feed in their monitor over to a full screen timer while simultaneously flipping the other judges’ monitors back to program. As the timer counts down it gets more obnoxiously flashy as the remaining time gets closer to zero. 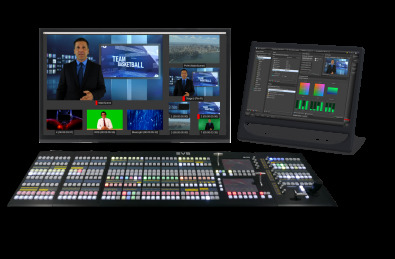 This is just one example of how the Dyvi is more than “just another production switcher”. “Because it’s using virtual M/Es, I can define what some would call a ‘snapshot’. I can take a bunch of resources, build the effect I want and store that as a ‘scene’,” he said. “That scene, because it’s all virtualized, can then be treated as a source. I can dissolve from my normal default look to a whole setup that has all kinds of layers and effects, and preset that as a source and dissolve to it. If I need to make changes, even while I’m on air, I can build changes as other sources, or I can build the changes as timelines or macros in that scene that happen as I push them. And then when it’s done I can dissolve back to the default look. Roy Wagner, an award-winning director of photography, has chosen to use a single Rotolight Anova PRO bi-color LED studio light for his new feature film, Trouble Sleeping.